Most of us look at work as a 9-5 job with little flexibility. But there’s another way you can work that will give you a better work/life harmony. SmartWorking allows you to find your perfect job, whilst working in the environment you’re the most comfortable in, your home. Home working or ‘remote working’ gives employees more control over the hours they work and more importantly, where you work. This means that if working from home isn’t convenient, you could choose to work in a CoWorking Space, or from anywhere in the world providing you can get a good internet connection. There are obvious perks to working from home, not only does it offer flexibility, but you will no longer have long commutes to work and you can avoid all the office politics. But SmartWorking doesn’t just benefit employees; there are many benefits for businesses also. 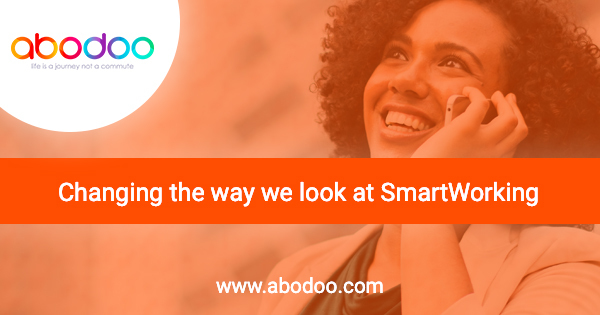 If you interested in SmartWorking, either as a business or as an individual, Abodoo can help you. Our online platform allows businesses to post remote working jobs with options to set specific requirements. Once the job has been posted, our magic gets to work and matches employers to the right candidates based on a percentage, in order for a candidate to match with a job, they will need to have a percentage of 50% or more. This reduces the amount of time businesses have to spend going through job applications. And potential employees don’t have to spend all their time scrolling through job listings. In addition, your matches are anonymous! Meaning businesses will only see the experience and skills. This helps businesses reduce unconscious bias, which is important as it allows a balance between diversity and inclusion for organisations to attract and retain talented and skilled employees. It also creates a positive organisational image in the market and helps companies stay truly global. To learn more about Abodoo, or to sign up, Please Click Here.